If you and I were having coffee right now … I would apologize for letting the entire winter go by without catching up over coffee. I guess I’ve been in a bit of a funk. 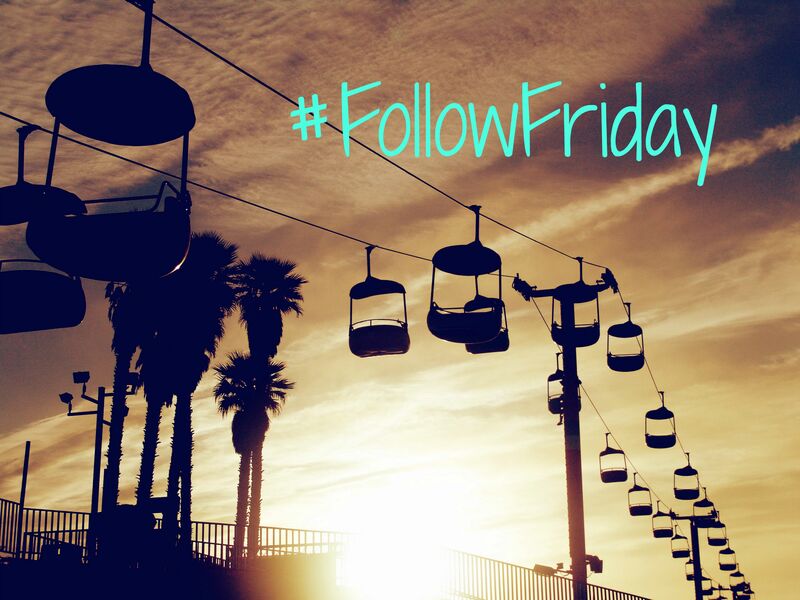 I still haven’t decided what kind of posting schedule works for weekend coffee share posts – weekly, monthly, quarterly, when the spirit moves me. Truth be told, I am still struggling with creating an editorial calendar for 2016. 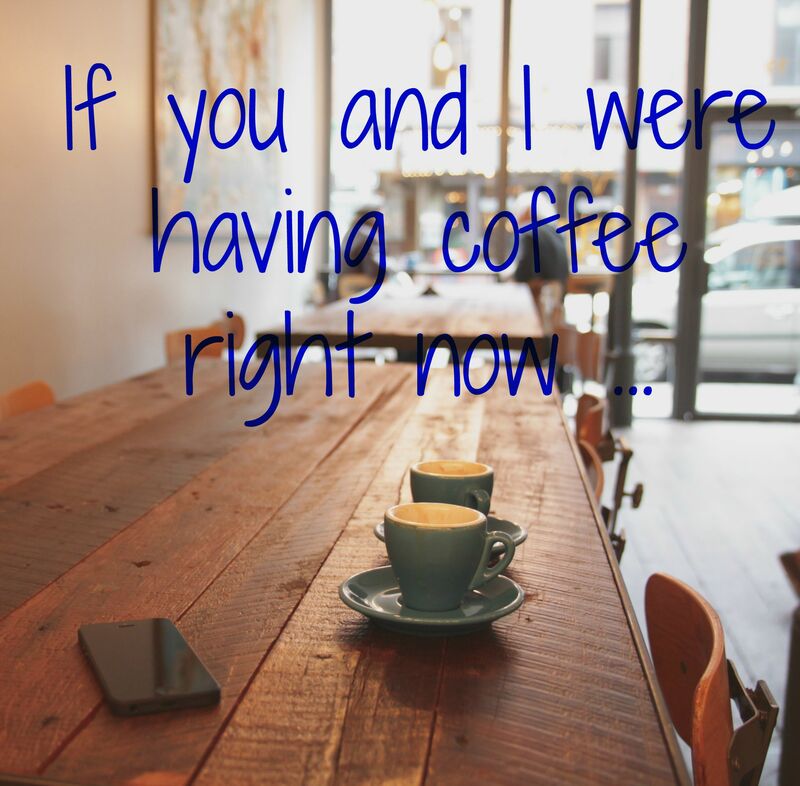 If you and I were having coffee right now … I would ask you to catch me up on what has been happening in your world. We have after all over three months of catching up to do. If you and I were having coffee right now … I would tell you that it has been a very strange winter/spring here in New England. In the heart of the winter we had very little snow (unlike last winter when we had mountains of snow) and yet here it is April and we are still getting snow – annoyance storms really something that might close the interstate down in Southern USA or in England but is gone within hours. I know I live in New England and the weather is known to change on a moment’s notice but really during the last days of March it was hitting 70 degrees and I had flip-flops on and during the first week of April it was down to the 30s at best and snowing. I find this odd because last year we had a mother lode of snow and this year I keep waiting for winter to start and the snow to hit us. But it just never really showed up. If you and I were having coffee right now … I would ask you if you remember the first day of spring last year was when I slipped and fell as I walked over to the softball field near my house? I decided to return to the scene of the crime, a year later in spite of warnings from my friends that I should not risk falling again as my knee still is healing. I went anyway. The potholes have been repaired (thank you City Hall) and there was no snow and ice. First Day of Spring 2016. Play ball! If you and I were having coffee right now … I would tell you how incredibly busy I have been at everything besides blogging and cleaning my house. Winter seems to (well at least the last two winters) throw me off kilter. I struggle to do anything in the winter except attend my nieces’ basketball games. I did, of course, do other things besides attend my nieces’ basketball games. Really, I did. I just ignored my goals of organizing my home and blog. Campaign season has kicked off and I am managing the political campaign for my local state representative. I’ve been busy with work for my local Salvation Army as an advisory board member. I joined a Citizen Advisory Committee for my city’s redevelopment authority called Lawrence TBD which has the goal of developing an urban renewal plan. This project excites me because I get to utilize my real estate background. Lately, as part of my involvement with Lawrence TBD I have been assessing property within the proposed plan area for the existence of blighted conditions. I am really excited about that process and have been approaching it through many different view points – blogger, resident, commercial real estate professional to name a few. There is definitely at least one blog post in this work. For now, I will share with you some of the photos I have taken on my walk throughs in the plan area. If you and I were having coffee right now … I would tell you that I am beginning to dabble in book reviews. In January, I wrote an Amazon review for Jenna’s Journey by Julie Ryan. I had intended to write a blog post as well, but felt like it had no place on my blog. I’m not a book reviewer and to do so felt like I was pretending to be something I’m not. At any rate, I’ve decided to give it a whirl again and from time to time you may see a book review on my blog. 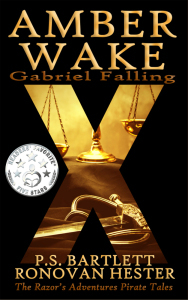 I’ve agreed to review Ronovan Hester’s new novel, Amber Wake: Gabriel Falling, which he co-authored with P.S. Bartlett. To be honest, Amber Wake is likely not a novel that I would have picked up had it not been from knowing Ronovan through our wonderful WordPress community. And, that would have been a shame as I am enjoying this fast paced novel and expect to have a review posted before the end of the month. Thanks for the reblog, Ronovan. It sounds like you managed to keep busy. It is nice t meet you now doing a coffee shar blog. I do book reviews. I started to give something to do and it has expanded more than I every thought. Thanks for stopping by for a cup of coffee. I will definitely check out some of your book reviews. I was just admiring the beautiful photos on your blog. It’s rainy here today so the poppy pictures were like a ray of sunshine. It was nice to catch up. 🙂 Look forward to reading more of your blog. Thanks for stopping by. It’s always nice to catch up over a cup of coffee, tea or hot cocoa. I love Part Time Monster’s Weekend Coffee Share as a way of meeting bloggers I might not otherwise find. I’m going for a “when the spirit moves me” kind of posting schedule when it comes to weekend coffee share. It’s also been a very strange Spring here in NYC. We’re not getting snow, but we are getting very cold temperatures and freezing rain. It seems Spring has decided it doesn’t want to make an appearance in 2016. Authors are always looking for reviews. I do one on every book I read. Thanks for your volunteering time . Volunteers are needed in so many areas Have a pleasant week.